I intensely dislike losing in Court and try very hard to avoid this. However, there have been times where I did not win on an issue or issues in a case. My clients are aware of this possibility regarding issues that are “iffy.” An experienced attorney will know which cases or issues need to be litigated and which cases or issues should be settled, if possible. The clients that listen to me usually do well, but the clients that don’t listen, not so much. A good attorney knows the risks, conveys this to his clients, and determines whether it is better to settle or go to trial on a case or issue, especially in cases where it is important to minimize losses. It is heart breaking to see people coming out of Court in tears because they lost due to representing themselves or their attorney did not place enough priority on their client’s case. It is also possible that the attorney did not show up. The outcome of custody and divorce cases can make a huge difference in our clients’ lives. Good attorneys understand this and we do our best to obtain the best possible results for our clients given their circumstances. Knowing the law is one thing, but having a successful strategy tethered with a wealth of experience is another. I believe the attorneys at the Steinberg Law Group provide the “right stuff” for our clients. The attorneys at the Steinberg Law Group all do our best to make our client’s happy and to obtain the best possible results. Sometimes, a client is not happy, even when we did everything we could. Most of the time, the clients who are not happy did not follow our advice. When you have a good attorney, listen to them and follow their advice. Remember, they are on your side and want you to obtain the best possible outcome. I really dislike it when a client’s actions or behavior compromises their case. It is also disheartening to deal with people in crises that are unable to find their own inner strength. As their attorney, I can draft pleadings, engage in settlement, and go to Court for them. I can even give them the occasional “pep talk” to help them through a difficult time and process. What I cannot give my clients is internal fortitude. Clients sometimes are not able to proceed when they get an adverse preliminary order, even though these are subject to change. For example, if wife makes an argument that husband committed domestic violence which is later proven untrue, then the wife might get temporary primary physical custody. However, this does not entail that husband will not be awarded joint physical custody by the Court or in settlement between the parties. I always tell clients that when you are walking across a very cold river that you need to keep going because you are not in a position to make judgments regarding the outcome until you are on the other side. Clients who “cave in” to pressure from the other party or are not willing to see things through are difficult for me to accept. I know that I can be there with my client to help them get to the other side. All they need to do is have faith, ask for help, and be willing to go the distance. I really dislike dealing with attorneys who are not willing to engage in “good faith” settlement negotiations, especially regarding issues that are readily resolvable outside of Court. It is important for people to hire an attorney who is willing to settle some or all of their case. This can reduce the overall cost of a custody or divorce action and result in an outcome that is mutually acceptable for both parties. If there are some issues that cannot be resolved by the parties, then usually the Court can resolve these limited issues. Having a very good attorney who is also willing to settle portions of the case can be an important consideration in obtaining the best overall results. Litigation is subject to chance in some respects, but each party gets what they bargained for when things are settled. I really dislike waiting in Court for a hearing. In the past year, there have been times when I waited well over two hours for a Court hearing. Unfortunately, this ends up unnecessarily increasing our client’s litigation expense. I wish there were a way for many of these hearings to be done by video conference with the parties, counsel for the parties and the judge. A client sitting in the waiting room before the video conference hearing is not paying attorney’s fees for the delay whereas the attorney sitting with his client in court is often paying for the attorney’s time for the hearing and the even longer wait before the hearing. There has got to be a better way. This is but one reason why I recommend Divorce Mediation. We have an adversarial process for parents resolving custody and for parties getting a divorce. The adversarial process does not encourage people to be “up front” and honest; quite the contrary. This process is brutal and often by the time that parents are done resolving custody and/or their divorce, they cannot be in the same room with each other. It is unfortunate that there are cases where going through this adversarial process is necessary. 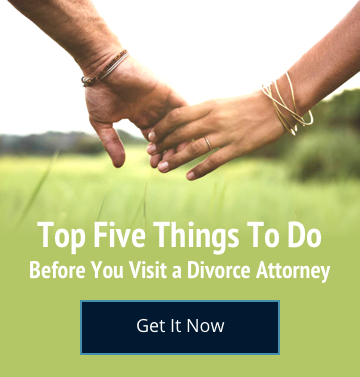 However, there are also many cases that could have been resolved through divorce or custody mediation or even by both parties hiring attorneys who are willing to resolve their case out of Court. I dislike when the Court process simply does not work well or makes no sense. For example, in Minor Guardianship Court, they have a Hearing Master who hears the case and then issues Report and Recommendations. There is usually a delay of one to two weeks for an attorney to draft the Report and Recommendations and then both parties have 10 days to object to the Report and Recommendations. As such, it often entails that thirty or more days elapse until the Report and Recommendations are made into a Court order. Meanwhile, if the Hearing Master ordered a parent to have visitation with the minor child which the guardian will not allow, then there is no way to enforce this Report and Recommendations by the police since this is not a District Court Order. Adult Guardianships in Clark County, Nevada used to utilize a Hearing Master, but now, these cases are handled by a District Court Judge without a Hearing Master. This has greatly improved the results and streamlined the legal process. This same change should be applied to Minor Guardianship Court as well. While most of the judges try hard to focus on the minor child’s best interest, there are times when it appears that the judges focus more on making one or both parties happy and not the minor child’s best interest. This is clearly not the law and often results in further litigation between the parties. A compromise order midway between both parties’ positions might seem fair, but if it is not in the minor child’s best interest, then the Court should not be making such orders. I really dislike it when the Court tries hard to make the parties happy, but the resulting Order is not in the minor child’s best interest. There is often a “good person” and a “bad person” when it comes to custody and/or divorce litigation. Oftentimes, the Court does not know who is who when making critical orders. Bad people can be great manipulators, terrific liars and very appealing litigants. Good people are frequently poor manipulators, unpersuasive, unwilling or unable to lie, and frequently are not as appealing to the Court as the other party. I really dislike that good people get hurt and often lose in Court just because they tried to fight by themselves or they did not hire a strong attorney as their advocate. My advice to the good people of Clark County, Nevada is to find a strong attorney to be your advocate. He or she should be willing to figure out who is who and willing to work hard with the client to persuasively convey the overwhelming truth to the Court in a manner where justice can prevail. The attorneys at the Steinberg Law Group are strong advocates for our clients. We are here to help you, to protect your children, and allow you to move on to a better life.